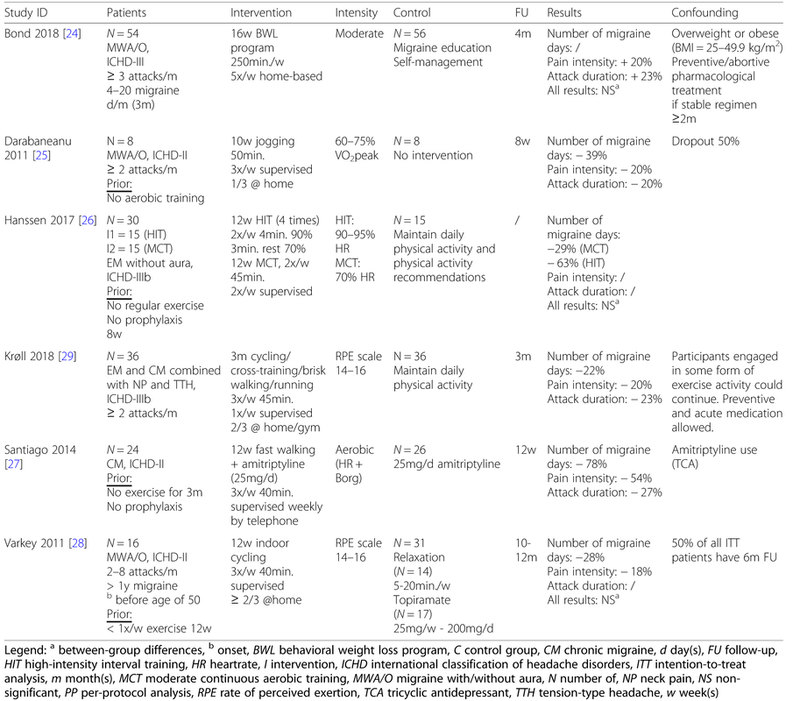 Lemmens J, De Pauw J, Van Soom T, Michiels S, Versijpt J, van Breda E, Castien R, De Hertogh W. The effect of aerobic exercise on the number of migraine days, duration and pain intensity in migraine: a systematic literature review and meta-analysis. J Headache Pain. 2019 Feb 14;20(1):16. doi: 10.1186/s10194-019-0961-8. PubMed PMID: 30764753.